We are happy to announce that Venerable Geshe Tenzin Tenphel will return to Pomaia this Wednesday, April 17 at around 12:00/12:30. We will gather in the courtyard in front of the house of the teachers to welcome him with a kata. We kindly ask everyone to respect the wishes of Geshe Tenphel and his doctors regarding the time he needs to rest and recuperate. So we remind you that all private interviews are suspended until a later date. Tuesday evening Ven. Geshe Tenphel received a visit from his brother, Geshe Loden, who had come from France to be close to him and this made him very happy. On Wednesday afternoon Geshe la had the coronography which ascertained the causes of the heart attack and during which several stents were applied. For the next 36 hours he will not be able to have contact with external people but the doctor was very positive about the recovery of Geshe there who continues to keep his smile. The Institute is organising moments of group recitations. from the triage of Emergency Medicine, Ven. Geshe Tenzin Tenphel was transferred to the Cardiology intensive care unit where he is undergoing checkings. 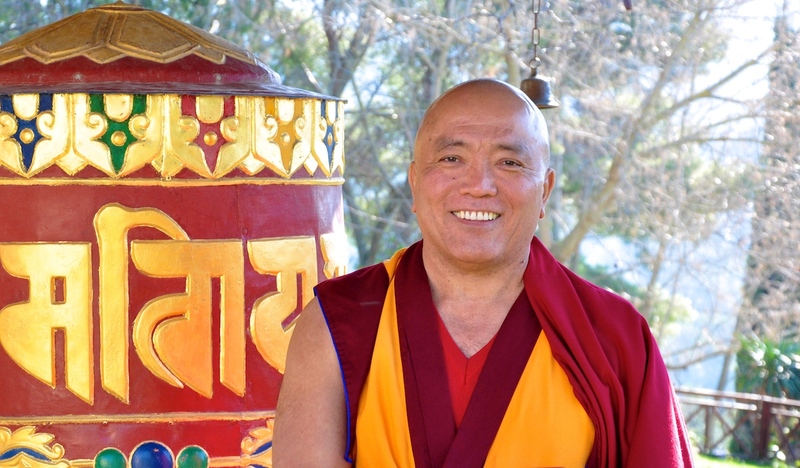 We have brought your greetings and thoughts to Geshe and soon we could welcome him back to Pomaia where we await him with joy to be able to receive his precious teachings. On his return, Geshe Tenphel will have to spend a period of absolute rest for about 1 month, therefore all private appointments (interviews) are suspended. Ven. Geshe Tenphel spent a peaceful night, remains in hospital, where the doctors are continuing checking to understand the possible cause of the illness. We kindly ask you not to go to the hospital to give Ghescela a period of convalescence, There he is followed by both health professionals and the Cenresig Center and Institute managers. Today morning, Sunday 7 April, Fri. Geshe Tenzin Tenphel, who was in Bologna to teach at the Cenresig Center. he was ill as a result of which he was admitted to the hospital for tests. The medical report found that Geshe Tenphel had a small heart attack, so he will remain in observation for the next 48 hours. Geshe Tenphel entered the hospital serene, is in the company of students from the Center of Bologna and the coordinator of the FPMT Centers Italy Lara Gatto. The Masters were informed , in particular Lama Zopa Rinpohce and Geshe Loden, brother of Geshe la. We will keep you informed , invite you to be calm and to dedicate a thought to a speedy recovery to Geshe Tenphel.